424 pages | 78 B/W Illus. It is almost impossible to conceive of the concept and practical application of supply chain management (SCM) without linking it to the enabling power of today’s information technologies. 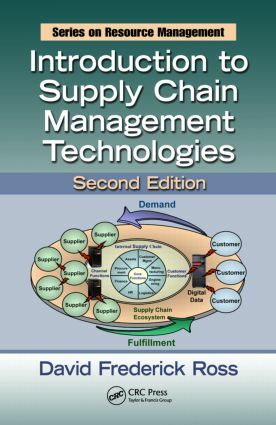 Building upon the foundations of the first edition, Introduction to Supply Chain Management Technologies, Second Edition details the software toolsets and suites driving integration in the areas of customer management, manufacturing, procurement, warehousing, and logistics. By investigating the breakthroughs brought about by the emergence of new Internet-based technologies in information, channel, customer, production, sourcing, and logistics management, the author provides new insights into the continuously emerging field of SCM. The new edition expands on emerging technologies that have provided all forms of enterprises with the capability to continuously automate cost, redundancy, and variation out of the process; enhance information creation and visibility; and expand the peer-to-peer connectivity that allows people to network their tasks, ideas, and aspirations to produce a form of collective open-ended knowing, collaborating, and experiencing. The information presented builds an understanding of how today’s technology-driven SCM provides new avenues to execute superlative, customer-winning value through the digital, real-time synchronization of productive competencies, products, services, and logistics delivery capabilities with the priorities of an increasingly global business environment. David F. Ross is an associate with Tribex Consulting, where he is involved in manufacturing and distribution education, training, and consulting.